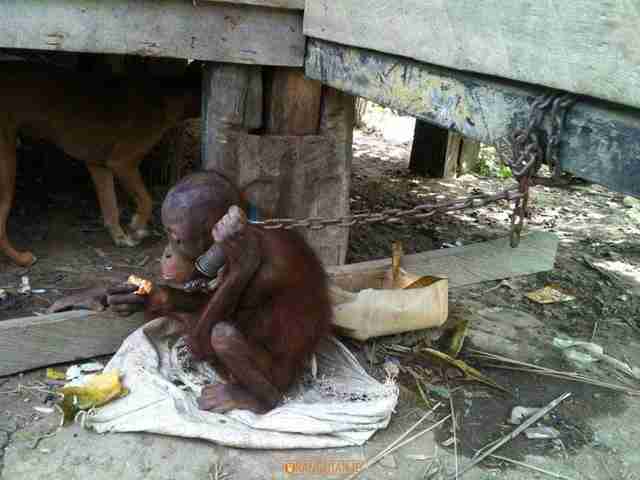 When rescuers found Novi, the young orangutan was tethered beneath a house in Borneo, Indonesia, with a short metal chain. He was underfed and extremely skinny, and the only friend he had was a dog, who was chained up beside him. While it’s not clear how Novi ended up there in the first place, it’s easy to guess what happened — people probably killed Novi’s mother, either because she was destroying their crops, or simply out of fear of the large animal. 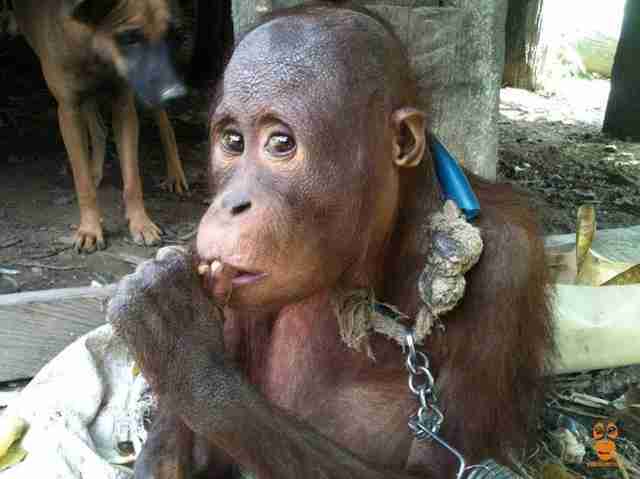 Then someone would have taken Novi into captivity as pet, even though doing so is illegal in Indonesia. It’s possible that Novi was kept inside his captor’s house for a while, but when he got bigger and harder to handle, he was probably chained up outside. But in 2015, Novi’s life took a positive turn when the COP team found him and took him into their care. 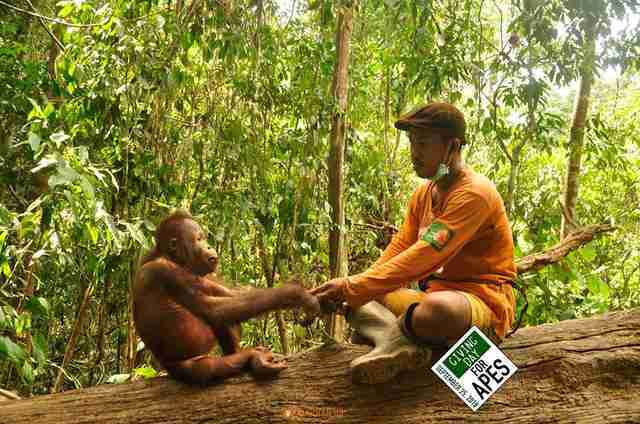 They helped him get healthy and strong, and taught him how to be a wild orangutan again at COP’s forest school. For instance, the caretakers showed Novi how to build nests high up in the trees and forage for food. He learned quickly, and even earned a reputation for being a “big boss” at the forest school, according to COP. This November — three years after his rescue — Novi was finally ready to be released back into the wild. In a video posted on COP’s Facebook page, Novi runs out of his transport cage and immediately climbs a tree, appearing ready to embrace his new life. “The happiness we felt, when he stopped and looked at us ... maybe [it was to say] thank you,” COP said in a statement. Novi’s story is far from unique. It’s very common for people to steal baby orangutans from the wild and keep them as pets, and sadly, many don’t get rescued and rehabilitated like Novi did. Besides the pet trade, wild orangutans are threatened by palm oil farming, which clears large tracts of forest, and human-wildlife conflicts. 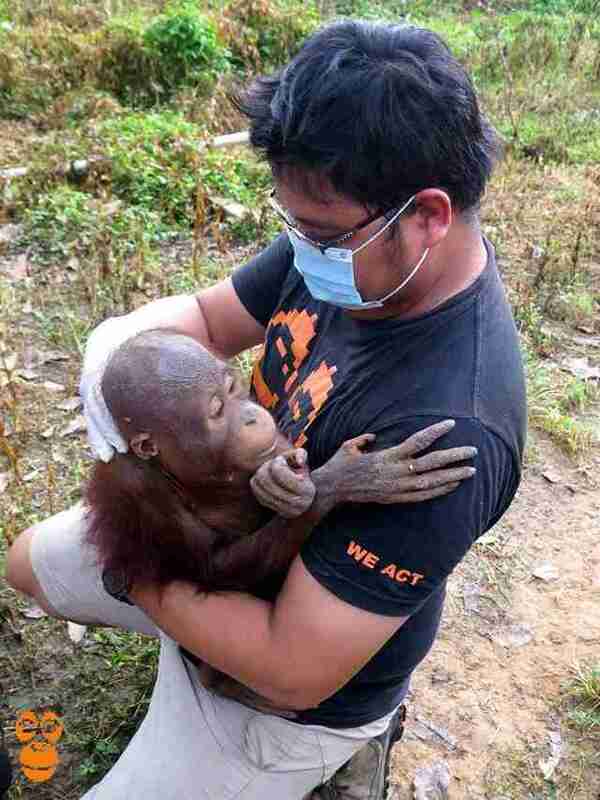 However, many organizations, including COP, are working hard to save as many orangutans as possible. 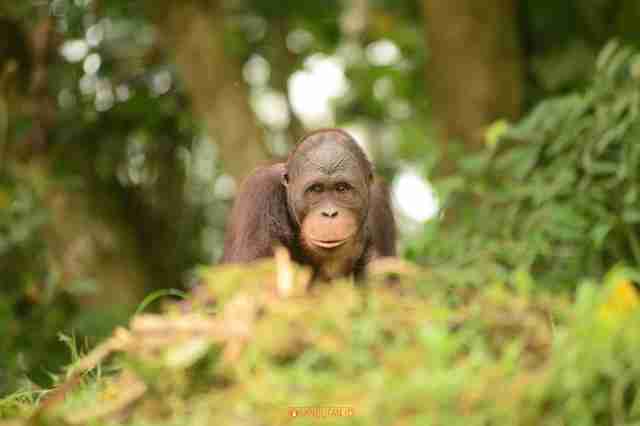 To help rescue and rehabilitate more orangutans like Novi, you can make a donation to COP.